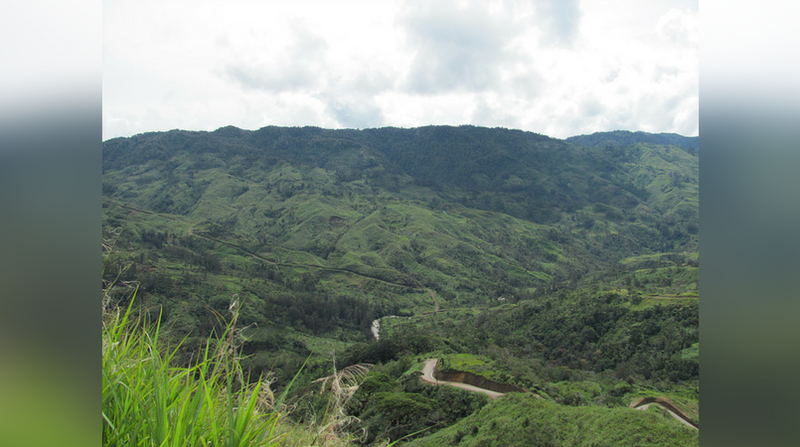 Gold Mountain Limited has announced further gold and platinum recoveries at the Crown Ridge Gold Project, in Enga Province. In statement today, the Board of Gold Mountain said the Phase 2 Bulk Sampling Program at Exploration License (EL) 1968 made the gold and platinum recoveries as well as heavily mineralised ‘proximal float’ hard rock less than 20 metres from the first 125m3 bulk sampling pit (Pit 200). The board also announced that it has recovered over two ounces of gold (75.05 Au) and 8.71 grams of platinum following the completion of the first large scale 125m3 test pit using a tracked excavator and processed through a portable heavy mineral test plant. Gold Mountain is further encouraged by the ease in which the coarse grains of gold and platinum contents were amenable to recovery using gravity processes from smaller pits. The ‘proximal float’ hard rock sample resembles an epithermal quartz-pyrite vein, similar to that assayed previously, which returned 29.9ppm (refer ASX announcement 11 May 2015), the Company looks forward to updating shareholders on further assays of the sample in the near term. While these initial recoveries from the first large scale Bulk Sampling pit are encouraging, Gold Mountain notes that recoveries could increase extensively following an upgrade of the portable heavy mineral test plant now located on-site. Sizing of the gold particles show that it is apparent there are significant losses of finer gold and platinum particles below 0.1mm, as well as some below 0.2mm based. As a result, the Company is assessing augmenting current on site equipment to ensure maximum recoveries can be achieved when bulk sampling recommences in the coming weeks. Director and Supervising Geologist, Dough Smith, says: “The Gold and platinum recovered from the initil 125m3 Pit 200, and the discovery of the heavily mineralised hard rock sample adjacent to Pit 200, are both highly encouraging for the company as we look to recommence phase 2 bulk sampling activates innthe coming weeks. Recovery from the free gold in the soils is continuing, and our confidence in the geology is growing daily.